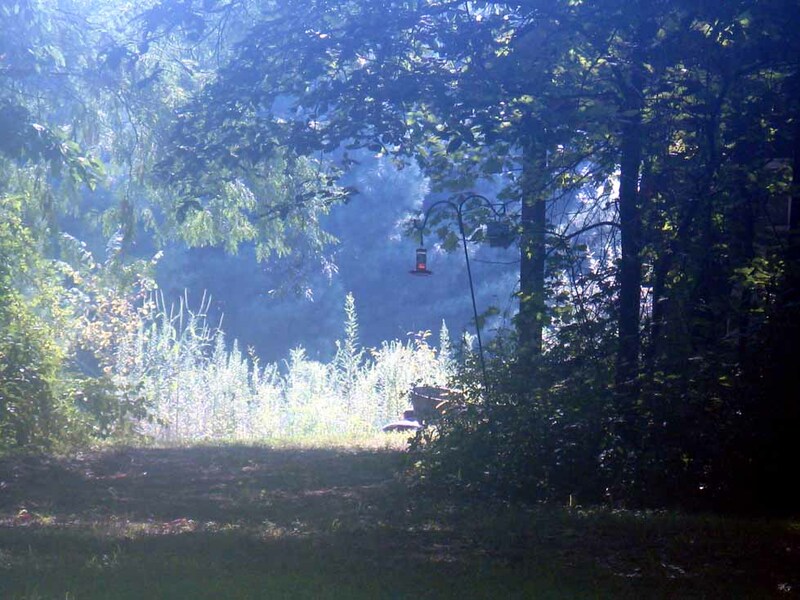 Today was one of Indiana's lazy, hazy summer days . . .
which means the lens will fog as soon it's opened. 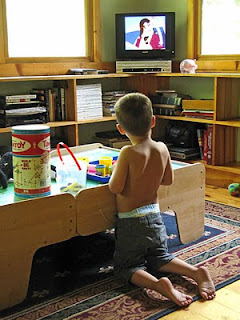 Play-Doh and cartoons . . . I'm re-reading the Mitford series; it's so wonderful, I want to live there. They walked home together after church, hand in hand, his sermon notebook tucked his arm. He felt as free as a schoolboy, as light as air. How could he ever have earned God's love, and hers into the bargain? The point was, he couldn't. It was all grace, and grace alone. He liked the way her questions sometimes bolted in from the blue, contained within no particular context that he could see. Good practice for a clergyman. "We look for visions of heaven," Oswald Chambers had written, "and we never dream that all the time God is in the commonplace things and people around us." We think we dare not be satisfied with the small measure of spiritual knowledge, experience, and love that has been given to us, and that we must constantly be looking forward eagerly for the highest good. Then we deplore the fact that we lack the deep certainty, the strong faith, and the rich experience that God has given to others, and we consider this lament to be pious . . .
Only he who gives thanks for the little things receives the big things. When we view the little things with thanksgiving, he thought, even they become big things. Thank heaven they'd given the party, and not a moment too soon. But if God's timing had been perfect for the party, he had to believe it had been perfect, as well, for allowing this hard thing. Like it or lump it, nothing happened to a child of God by accident, and scripture inarguably proved that out.